The Imperial Square is a boutique hotel in Mussoorie, located at the prime hub of the Mussoorie Hill Station with all modern amenities and state of the art interiors. Each set of the room is facing the North of the Mussoorie ridge providing mesmerizing view of the mighty Himalayas and the culturally rich Jaunpur valley which is adorned with tiny villages and the Algaar river. 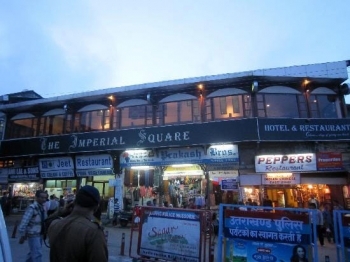 The Imperial Square hotel is located on the Mall Road of Mussoorie, near Gandhi Chowk (Library). 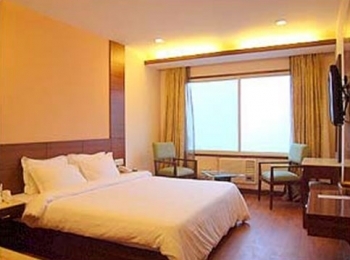 Imperial Square hotel have 14 double bed rooms with all the basic and modern facilities and amenities. The hotel has state of the art fittings in the bathrooms, tea/ coffee makers in every room, running hot and cold water, wooden floors and wood paneling in the rooms, breathtaking view of the snow capped mountains in the north from every room. Hotel Imperial Square have a multi cuisine restaurant facing the Mall Road. You can enjoy Chinese, Indian, European cuisines in restaurant. - Mid Season : April, Aug., Oct., Nov., Dec.